This is my second year writing about sharing the importance of making March 1 – Self Injury Awareness Day. Many aren’t aware of this day and its importance and there are those that may be misinformed into thinking it is only about self harm as in *trigger warning* cutting and the like. I am going to attach a picture of the many ways a person self harms; I can say that I’ve self harmed for a very long time and I am in recovery, its going to take me awhile to recover because many of my behaviors I have been doing since I was a child. I’d like to introduce you to the picture, this the first one I’ve ever seen that has displayed the many different ways a person self harms and how many do today and don’t even know they are. Upon review, I can see many of my self harming behaviors on this chart. Its sad but I am hopeful for recovery, even though I know you never fully recover, you do however, become much more aware of your behaviors that may trigger if not paying attention to the cues. This past week I’ve been out of town for a wedding and meeting my hubby’s family. It went well, just as I knew it would. One evening we dined at a 5 star hotel with 3 course meal. Variety to choose from, but nothing that would appease my conscious mind. The voices in my head jabbing at me, making me feel insanely guilty for everything I chose. I chose to have slivers of each choice, so I could show I was eating something, yet inside I was cringing. I felt so uncomfortable, I left to go to the ladies room. Yes I was THAT tempted to self harm. While in the ladies room, I looked at myself in the mirror, pretending to focus on my make up because at any time someone could come in and yep, a friend did come in. I could feel the knot in my belly, urging me to purge; but I didn’t. I was afraid someone would hear me. I walked quickly to my spouse who was at our table. He asked me what was wrong, I told him what I wanted to do. He said very reassuringly that he was proud I didn’t act on my self harming behavior. He could see how stressed out I was about everything. Over the rest of the weekend, I did look at my affirmations we were given at my eating disorder group, but I struggled to actually read the words versus scanning it. I ended up scanning it and if you were to ask me a specific one to tell you, I know I couldn’t. I know that members of hubby’s family noticed that my food choices at the buffet we went to, were minimal compared to the heavy foods everyone else mostly ate. I just said I eat lighter and that I changed my eating habits a few months ago. When we attended the wedding on Saturday, again there were choices, included deep fried foods. I could only allow myself sliver portions. Enough to taste, but not enough to become full. That night, I woke up with such an upset stomach, I was moments away from self harming. I just couldn’t take the knot in my belly, the gas or indigestion. I just don’t eat like everyone else does. Today I’ve come down with a head cold and I felt incredibly nauseated. Yes, I self harmed. I felt myself no longer fighting whether I should or shouldn’t. All I wanted was everything to go away. I’m not perfect, and yes, I did weigh myself today, just to appease my mind. I do have group on Thursday, I will discuss this then. 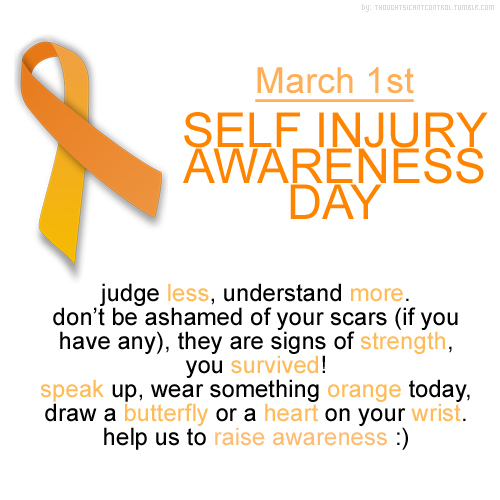 March 1, 2013, is Self Injury Awareness Day. What is it, you may be asking yourself? For those of us with mental illness, March 1, 2013, is a day to call attention to the disturbing number of people who deliberately harm their bodies in an attempt to numb emotional stress. Self-injury (SI) can range from cutting, burning or hitting oneself to simply picking at skin, pulling hair or pinching. At its most extreme, SI can lead to bone-breaking and other more serious injuries. For me it is an eating disorder. I don’t know the statistical data as to how many people do self harm, what I can say is that those that have self harmed will do so again. The easy answer for me is to have some type of control of my body, my emotions, my life. Yet some have said its because of wanting attention. Calling attention to myself is not what self harming is about for me. Self Harming may be more about letting the pain they feel inside themselves. It is called Emotional Regulation, meaning to feel better or calm down when their emotions are high. What should you do if you learn someone you care about is self harming? Recognize that self harming is very serious and needs to be addressed. You are not a therapist, but letting your loved one or friend know you care about them and want to help them get professional help. Reassure your loved one or friend that you can see how much pain they are in and want to see them happy again. Now that you are aware of your loved one or friend’s self harming, help them find a therapist who understands and has the skills to deal with someone who self harms. This is very important because, as I have learned, not every doctor is qualified to address this behavior. I am attaching the S.A.F.E. (Self Abuse Finally Ends) link. http://www.selfinjury.com/referrals/therapists/ . Please click on it if you are needing some support. I have a bunch of words jumbled in my head at the moment. I actually felt frozen when trying to form a title for this blog and well…. I dunno yet what I will call it. Yesterday’s therapy went pretty good. We talked about my Sh’ing and the shame, I realized I have been feeling for all of my life. We broke my years of anorexia, bulimia and now emotional eating down. I realized I didn’t do this to be thin, I did this because I wanted my mom to see I was worthy of her attention. I lived and breathed everything she did. I remember watching her measure her foods when she was on a particular program. I remember the tape measuring. I took the tape measure and magazines that had various exercises in them and did them every night. The sit ups, the measurements, I remember weighing my food. I did it all, yet it wasn’t enough, now not only do I not have a relationship with my mother, I am now angry with the way I look due to having 3 car accidents and a complete hysterectomy. I’ve turned to emotional eating, to stuff my emotions down. So the last couple of years I have put on 47 pounds, most comes from my hysterectomy. I had always been athletic as a child, through to adult hood. When I was 25 I joined Martial Arts. I instantly fell in love with the sport! I loved sparring, I loved doing katas (forms), I loved the respect factor. The most important part though was having a place to tune out the daily chaos of my life back then. My therapist wants me to look into doing an activity that I would really enjoy doing. We talked about my bucket list and how I would love to go hot air ballooning, or go skiing. I did mention I have wanted to try Zumba. She said that was an excellent choice because it is fun, social and gets me out of the house. The isolation going on puzzles me because at one time I was a social person. Granted I didn’t like being home or on my own, so that was a big reason you could find me playing pool, or at a local watering hole on a Wednesday night. If I was home, I was usually on the phone, it was always something so I wasn’t in my space, in the quiet. Now, I am home and sure I go to my appointments (most of the time) and take care of my animals. I also help out on animal rescues where I drive to pick up the transport of the animals, and deliver them to the foster or adopted home. I do like to work in my garden in the Spring on through to the Fall. I find peace and tranquility whenever I can touch trees and walk among a forest. My therapist said this is good as a coping skill, however, she wants me to look at things that I really, truly have fun with. She asked me what are the main components that give you a balanced life. I said, sleep, nutrition, a calm environment and she said what else? I couldn’t think of anything. She said fun and social activity. She said that the components that make our lives balanced, are the same ones that people with Depression also struggle with. My therapist has given me homework. Yes, you read right, homework! I am to look into doing an activity that not only is fun, but is social and gets me out of the house as she suspects its been a long time since I have done anything for fun. She is right. Its been at least 10-15 years since I remember doing something I loved and had fun with. So this week my homework is to continue with my DBT workbook and to look into activities that I like that I will have fun with. However, I have told her, it isn’t making the plans that are hard, it is the day of, where I freeze up and don’t go. Today was Week 8 of my 3rd round of SAFE. For those that don’t know what SAFE means it stands for Self-Abuse Finally Ends. The topic was on Self Harm. Yes, it was going to be one of “those” sessions and boy was it ever! As I listened to other group members share their awareness and experiences with Self Harm. There was one in particular, who was just all “good with the world” if you know what I mean. All was right in her world, I am positive she was on a manic ride! It was super annoying and I felt that the more she spoke about how she has pushed the negative to the curb, the angrier I got. I just couldn’t help but feel she was beyond bragging, she was literally verbally puking on all of us!. As various paragraphs were read from our material, we stopped to talk about them. Each therapist asking if anything in particular resonated with any of us. To some it did, to some it didn’t. To me yes, there were moments that did resonate with me, a lot! I remember saying that when a group member pointed out that for her, staying up late was a self harm for her, because it means she isn’t taking care of herself. Well, I never ever even thought of that as a self harm. Self Harm means different things, to different people. It isn’t just the obvious big ones. You may also hear these actions described as self-injury, self-inflicted injury, self destructive behavior or self-defeating behavior. As you can see, any of the above can be self harm, as well as many others I’ve not listed, but you yourself will know what they mean for you. You might self -harm directly or you might find yourself “setting someone up” to harm you. As an example, I said that for me, this could be me having a conversation with a family member, it starts off cordial and within a very few short minutes, it blows up into a bad situation. The end result is I will self harm. There were a series of questions that followed, read by group members one at a time. After they were read, we took a few minutes to discuss. It was then that I started to talk about something I have never done before. 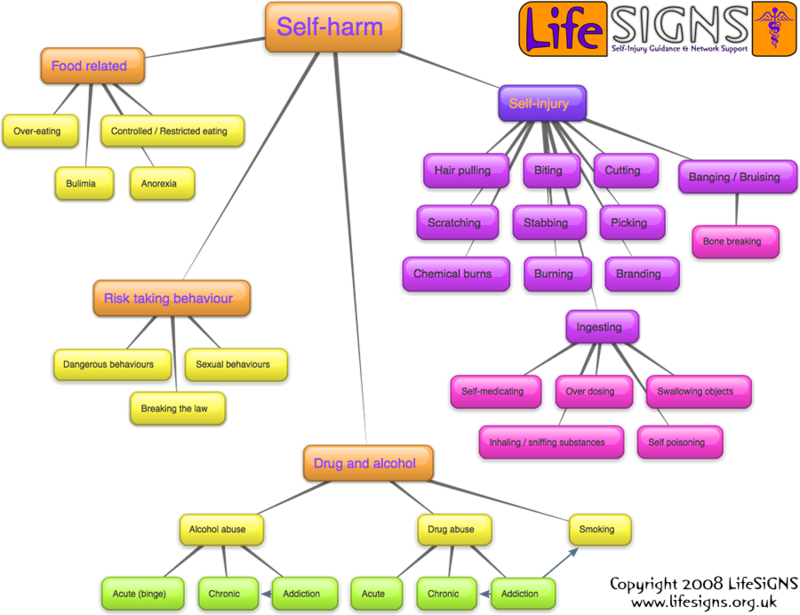 What lies beneath Self Harm and Control? 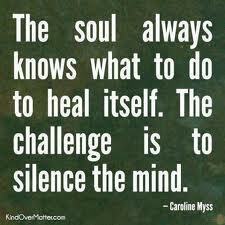 What lies beneath the layers to my soul? What lies beneath that which is me? I described what I feel holds my self harm in place. It is control. I have been this way all of my life. I’ve also been in survival mode for a very very long time as well. I told the group that I am layered. I described how I see what I look like. I have realized that underneath control, lays fear. If you take the layers of control and fear and lift them, there lies my soul, naked and raw. My soul doesn’t know who I am. Just like when a baby is born, it is vulnerable and receptive to the teaching of his/her parents as they grow up. Tears came down my cheeks as I went on to describe what this feels like. A member suggested that when a person has had enough, they will change. I said that for me, it isn’t about being at rock bottom. I’ve been to rock bottom, I know what it is to be homeless, to have to go to the Food Bank, to having to get income support; as well as being in abusive relationships and sticking them out in the hopes that the person I was involved with would see how valued I am. To know that I don’t know who I am as a person, really hurts. To know I am petrified to let what control I have go, so that my life could be free of heartache is so incredibly scary. For some they may let it go in an instant. For me, it makes up who I am, letting this go, is my whole identity. Healthy or unhealthy, at this time, it is who I am. One of the therapists commented that another way to look at this is to see things in layers. 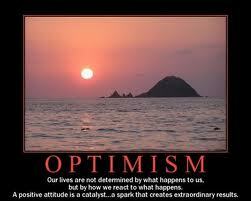 That we work our way down versus looking at the whole picture. I suppose that is possible, but now all I see are band aids. I see open sores covered in scars and band aids. Years and years of band aids. No wonder I am physically, mentally and emotionally exhausted. Today we talked about this in group therapy. This is my 2nd of a total 3 rounds of this group and you know, I don’t really remember talking about this the first time I did this group. Funny, how this isn’t the first time I’ve had memory fogs about things, it actually annoys me into thinking I can’t remember the simplest of moments. Talking about self harm (by the way, we don’t talk about the actual “act” of self harm, we just mention self harm), I began to feel quit warm and flushed. Especially when after the paragraphs were read, the floor was open for discussion. I started off with stating that prior to starting SAFE, I have never even heard of the words “self harm”, I didn’t even know there was such a label. I have had trouble acknowledging that my self harm is an eating disorder, but I also learned today that I have other ways of self harm that I have done as well. I explained to the group that for me, when my anxiety became so high, that when I wanted to get the screaming that is going on inside my head and the words couldn’t come out of my mouth, self harming was a way of helping to release those feelings. A therapist mentioned about having something to benefit from or gaining from doing self harm. I said, very honestly, that I have never seen a benefit to self harm. When I am in that moment, everything around me is numb. I don’t feel anything, I don’t hear anything or anyone. All I see is that moment. 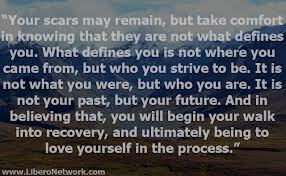 I don’t think about the future, or what my results will be if I act on my self harm. Other members agreed that they felt the same way. I shared a piece of what had happened just prior to me getting to group this afternoon. I was at home, getting ready for group. As I was getting dressed, I had commented in my room with the dog present, and my boyfriend down the hall in the kitchen, that I wondered how on earth anyone could love me, being that I am so fat. Just like that, no thought, no choosing of the words, just said them as they are and as I felt. My boyfriend had said a few seconds later “do you plan on talking about your self critic in group today?” I said “what are you talking about?” he said “you just said out loud that you wondered how anyone can love you being that you see yourself as fat. My answer is “I do”. 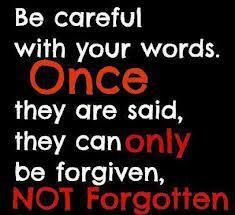 I said to the group, that my actions are so ingrained, that I didn’t even hear what I had said, or what I was thinking. While it is true that I bash myself on a regular basis, to see it the way he sees it, I have never done. I said to the group, that it is hard to even consider changing a thought pattern, especially when it has been a coping skill for as long as mine has. The therapist had said that he could see that “fear” creep in our eyes and our anxiety rise, at the mere thought of having to change our thoughts and behaviors in order to make ourselves free to embrace a healthy way of thinking and living. A few of us openly said that the new concept scared the daylights out of us. There is a huge fear around that sort of thing, even though many of us know that the end result of our actions is not a good one, it is one we are familiar with. I for one, don’t like the cycle I am on, yet it terrifies me to take it away. How bizarre is that? You know it is not healthy and it is dysfunctional, yet to change it for something that can bring you peace and understanding, seems scary? I call it twisted thinking. In our paperwork for today’s session, there is a page on the topic of creating a soothing journal, something to write our emotions in and to take the tools we have been learning and applying them to our moments of wanting to self harm. The concept is to help extend the fuse of anxiety so that you don’t self harm. I will think about starting a soothing journal/blog once I understand the concept better.